Get Even Review - Is This Real Life, or Perhaps Just Fantasy? Get Even Review – Is This Real Life, or Perhaps Just Fantasy? You begin the game as Cole Black, a private investigator and hired assassin. Black is on a mission to rescue a teenage girl who is being held hostage by an unknown group. It turns out this poor girl had a bomb strapped to her chest which detonates, leaving her dead and Black with a nasty case of amnesia. From here on out, more details of Black’s past come to light. Black is under the control of a character named ‘Red’, who introduces him to the Pandora headset, a device that allows the user to relive past events. Throughout the game we learn of Black’s troubled past, including his history as a professional criminal. Red forces Black to recall his most impressive crime: stealing the revolutionary Corner Gun. With the Corner Gun available to hand, players are able to pick off enemies while safely behind cover. Now I know what you are thinking, isn’t the Corner Gun simply a regular gun with a mobile phone strapped to it? Well, yeah… but this phone also has some killer apps which become vital throughout the course of the game. 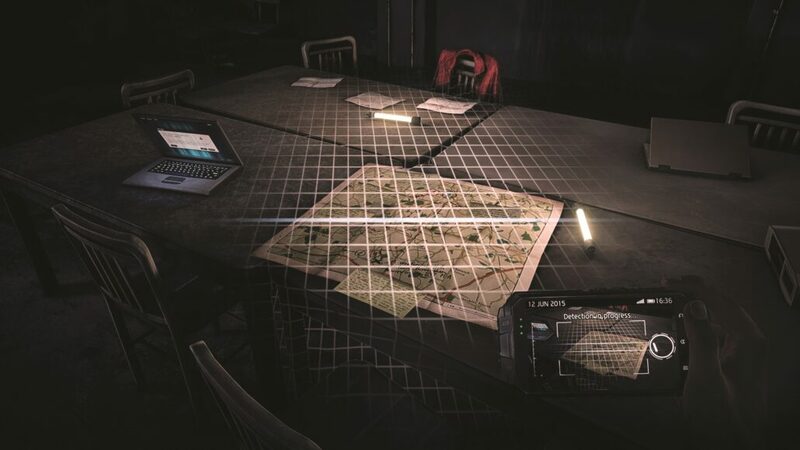 Thermal Vision is key when taking out enemies with the Corner Gun, the UV Light aids in solving difficult puzzles and the Scanner feature helps players decipher what’s real and what isn’t. The Corner Gun is the developer’s way of bringing something new to the first person shooter genre. Think of this weapon more as a Swiss Army Knife rather than your standard assault rifle; it’s not all about killing as you’ll have to solve puzzles every now and again. While the Corner Gun’s features are useful, they would be even better in the form of a visor (as many games have used in the past). You would lose the ability to shoot behind cover, yet trading this for full-screen vision would be infinitely more useful. At times I wanted to use both the UV Light and have access to the map, but the Corner Gun does not allow you to use two apps at once. I understand the decision to have a Corner Gun has been made as it does make the game feel more immersive, although this greatly restricts the player as a result. The Farm51 spent a lot of time on the audio design in order to heighten the thriller experience. Taking inspiration from films such as Memento, The Butterfly Effect and Source Code, Get Even tries to turn your game experience into something more cinematic. Using what The Farm51 refers to as ‘dimensional audio’, a lot of Get Even’s soundtrack revolves around the sound of a ticking clock. This effectively means that as the player moves closer to something important, the audio will build around the sound of the clock, heightening the tension. In contrast, you’ll often hear a melancholic track when discovering context about some of the characters. Overall it’s safe to say that the music is well-tailored to the game, evoking the right emotions in the right places; however, it’s not something that felt particularly poignant or unique. Had the developers not mentioned this as one of their major focuses, I probably wouldn’t have even noticed it. There are areas in the game where the environment will construct itself as you walk through it. Ultimately, these sections boil down to the player looking at motionless characters with some audio sprinkled in. While the effect works incredibly well at first, it soon begins to feel like a cheap way of adding in context without having to do much at all. The overuse of this effect lost its impact over time. Get Even’s repetitiveness doesn’t stop there, as the second half of the game manages to be largely the same as the first. I hope you enjoyed the first three hours of Get Even, because you’ll be seeing a lot more of the same environments as you go through the game once more. In terms of the puzzles, they also start off strong until they end up repeating themselves. Most of the puzzles are unimaginative, forcing players to find numbers to enter into keypads. Funnily enough, for a game that features an assassin as one of the lead characters, the combat is surprisingly dull. Sure, you do have the Corner Gun, but it ends up being more of a hindrance than anything. I found it much easier to use weapons other than the Corner Gun as they allowed me to aim down the sights without forcing me to look at a massive screen. The bots will rarely attempt to find you despite the amount of noise your make with your weapons. When the enemies finally track you down, they have the ability to kill you in only a few hits. In fairness, Get Even constantly makes the point of avoiding combat in the first half of the game, but that all goes out the window when you start the second half. Considering the puzzles and combat make up a large portion of the game, this is a problem that is difficult to ignore. When you take into context that it only took me five hours to finish the game, you can see how this is quite the issue. In addition to this, at no point after finishing Get Even did I want to start it up again. There were plenty of loose ends in the story that might’ve been nice to get answers to, but the thought of going through the game a second time was enough to put me off. Despite a recent 1.5GB patch before launch, I ran into a few issues with the game. The main problem was getting stuck in random objects forcing me to load back to my previous save. For the most part, this wasn’t a huge inconvenience – though there were a few times it wasted up to five minutes of gameplay. This problem occurred frequently enough that I had to start being cautious of getting close to tables and boxes in fear of having to restart. I played through the PC version of Get Even and it was mostly a smooth experience. The frame rate maintained a solid 60fps throughout, although I have a number of small complaints. The Corner Gun’s thermal vision screen ran at a much lower frame rate when aiming down sights, but outside of combat, it appeared to be smooth. In addition to this, I couldn’t find any way of changing the field of view in game. Instead, I was forced to edit an .INI file in the game’s documents. Despite the game running on a modified version of Unreal Engine 3, it looks surprisingly good considering the engine’s age. Having previewed Get Even on the PlayStation 4, I would say the PC version is far superior in almost every way. Featuring a number of enhanced graphical effects, double the console’s frame rate and almost no loading times, if you have a powerful computer you’ll want to avoid the console versions of the game. Reviewed on PC (code provided by the publisher). You can pick up a digital code of the game for PlayStation 4 or Xbox One via Amazon. 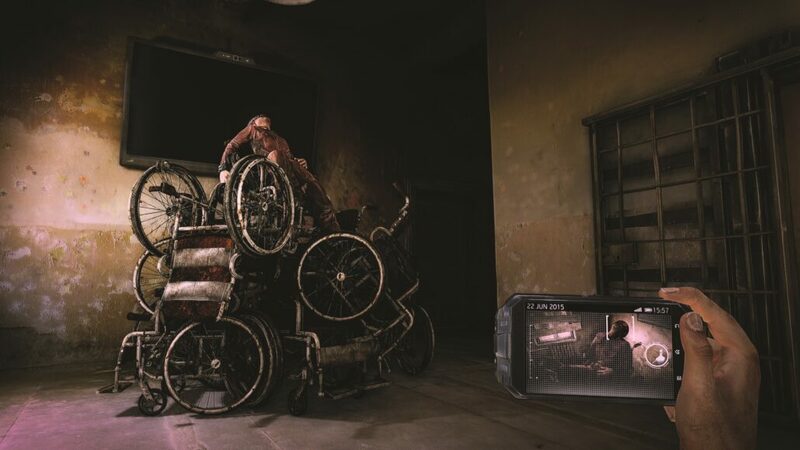 Get Even’s goal is to get the player to question what is real and what isn’t. While it succeeds in achieving this, I can't help but feel that it may be slightly too vague to truly hook its players. You'll spend a lot of time reading newspaper clippings and other scraps of paper that will eventually build a complete picture, but I struggled to muster the willpower to locate all of that information. There is very little that entices me to revisit Get Even and although it wasn't necessarily a bad experience, it certainly isn't a Game of the Year contender either. There's no questioning that Get Even offers a different dimension to the first person shooter genre, yet it struggles to maintain the aspects that make it most unique, quickly devolving into a repetitive cycle.